New Directions Publishing Corporation, 9780811225007, 224pp. So Ryszard Krynicki begins the early lyric that gave his 1969 debut volume Act of Birth its title (a poem which ends: "I live / in the place of death"). These are not simply metaphors. One of the greatest poets of postwar Poland, Krynicki was born in 1943 in a Nazi labor camp in Austria, where his parents, Polish peasants from Ukraine, served as slave laborers. Act of Birth marked the emergence of a major voice-alongside Adam Zagajewski and Stanislaw Baranczak-in Poland's "Generation of 68" or "New Wave." Political and poetic rebellion converged, and the regime took notice. During the 1970s and 80s, Krynicki was arrested on trumped-up charges, dismissed from work, and forbidden from publishing. But to read his poetry as purely political would be a mistake. The early lyric "Act of Birth" displays the acute linguistic and ethical sensitivity at work. A distinctive combination of mysticism, compression, and wit shapes Krynicki's writing from the early dissident poems to his late haiku. Small wonder that his influences span the distance from Issa to Zbigniew Herbert, and include Nelly Sachs and Paul Celan (both of whom he has translated splendidly). 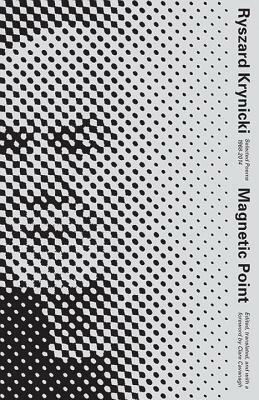 Himself an editor, publisher, and acclaimed translator, Krynicki has won major prizes, from the Polish Poets' Award to, most recently, the 2015 Zbigniew Herbert International Literature Prize.